So I think there’s that – there is a thirst for that but, you know, as a classic battle between God and the Devil or even more specifically for the character of Eli, I mean, he’s five days’ walk from the promised land, if you will, for taking this book where it belongs, and literally all hell breaks loose. So I think that’s sort of a metaphor for life, how when good things happen, you can be tested. It’s like there’s a saying there’s no testimony without a test, and we’re all tested in some way, so I liked the idea of the spiritual journey that this young man takes or old man takes. 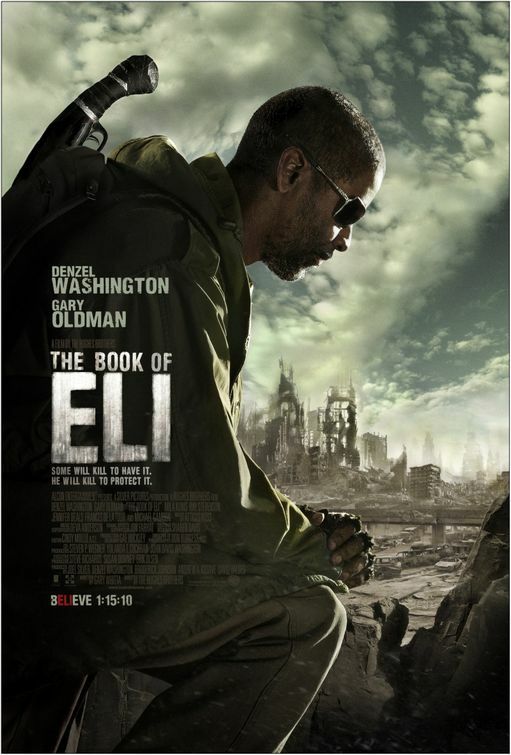 The Book of Eli is directed by Albert and Allen Hughes, the brother team behind Menace II Society, Dead Presidents and From Hell, their last directorial effort all the way back in 2001. The original screenplay is by Gary Whitta (his first one) and the cast features such standout performers as Gary Oldman, Tom Waits, Mila Kunis and Jennifer Beals. “For some, this genre picture will come with the bonus of its conspicuous and heavy-duty religiosity. It is about the Word, and who controls it. But “The Book of Eli” works, even if the preservation of Christianity isn’t high on your personal post-apocalypse bucket list. Establishing its storytelling rules clearly and well, the film simply is better, and better-acted, than the average end-of-the-world fairy tale. Poetic psalms uttered amid stylized violence are disconcerting. Religion and bloodshed, though linked through much of history, make queasy entertainment partners. 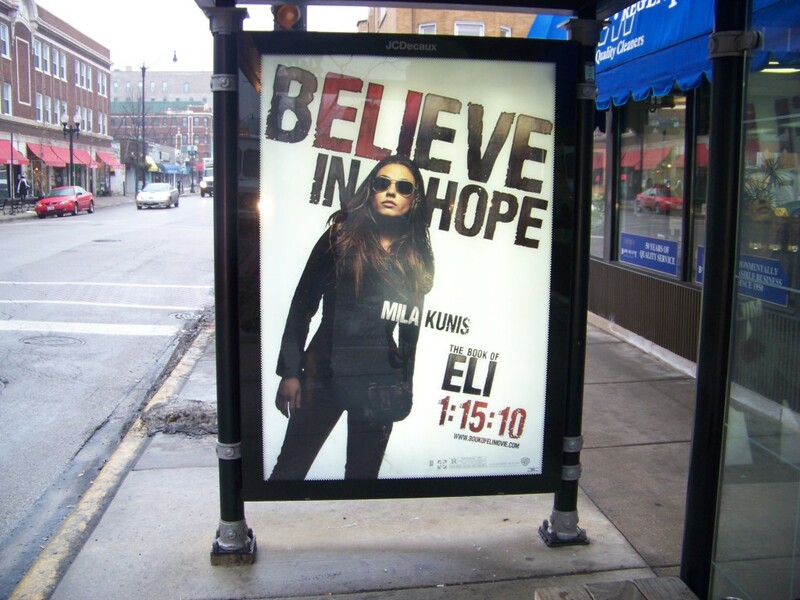 She may be right, but next to The Da Vinci Code,The Book of Eli is looking pretty damn watchable. “I haven’t related to [serious dramas]. I was involved with Friday Night Lights [the movie version]. I spent a lot of time in Odessa, Texas with Buzz Bissinger, who wrote the book, and met all those people. I wrote a script, but it was very difficult. It basically told me who I wasn’t. I make my films for everybody. When I became a parent, I found there was no greater enjoyment than to see my kids lose themselves in a movie. That is the feeling I’ve been trying to create ever since I got into the business. Most of my work has been about forming new families or rebuilding existing ones. The Spy Next Door may be a Z-movie rip-off of The Pacifier, which was a B-movie rip-off of Kindergarten Cop, which wasn’t a grade-A idea to start with…the film’s so formulaic your 6-year-old will be ticking off the plot points as they lope by…The most depressing part about The Spy Next Door is the revelation that the Central Intelligence Agency works out of a rundown office complex in Albuquerque and is headed up by the likes of Billy Ray Cyrus and George “Most Intensely Annoying Man in Show Biz’’ Lopez. Suddenly our recent international adventures start to make sense. True. If you see Cyrus in a movie and it’s not directed by David Lynch, then it’s time to walk out. And don’t even get me started about Lopez. The “most intensely annoying man in show biz” is a kind label for him. “I guess trusting your intuition would require some faith and confidence but by trusting yourself that is exactly what you gain. If you try to be like someone else then how can you be confident about what you are doing? The only way is to trust yourself. First-rate acting is required to bring this kind of dichotomy to life, and Ms. Arnold is an ace when it comes to drawing real emotional truths from her actors…These are not easily likable people, but Ms. Arnold’s chief talent is the way she makes us understand and even sympathize with both their flaws and attributes. 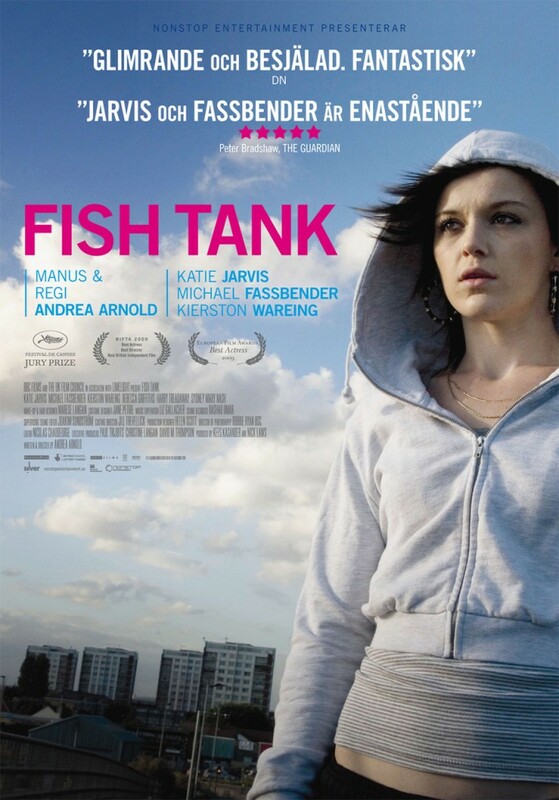 The people in Fish Tank are neither good nor bad, but merely human, with elements of both. Arnold’s first feature, Red Road (2006), centers on another outsider, a woman who monitors security cameras. The film is formally brilliant, but it doesn’t have the breathtaking openness of Fish Tank…The final scenes have a transcendent mixture of hope and sadness. I’ve never seen anything like Mia’s final dance, or the leave-taking with her little sister that follows. In Fish Tank, nothing goes right, yet Mia’s fate never seems preordained. Her constant motion might or might not be her salvation, but it keeps you in suspense until the last frame—and beyond. [The Last Station is] the kind of movie that gives literature a bad name. Not because it undermines the dignity of a great writer and his work, but because it is so self-consciously eager to flaunt its own gravity and good taste. [44 Inch Chest] could easily elicit accusations of misogyny — especially given its percussive, unrelenting but eminently realistic use of the C-word — but it’s actually, at its best, an acute, unblinking portrait of misogyny in practice, not a misogynistic text itself. Underreported and over-emotional, Geralyn Pezanoski‘s 81-minute doc exposé about dogs displaced during Hurricane Katrina moves slower than a basset hound to get to these and other thorny questions.